To learn more about Prof. Furusa, follow the links below. Professor Munashe Furusa is the fourth Vice Chancellor of Africa University. He brings to Africa University extensive experience as an academic leader in a range of positions and in many aspects of the faculty and university administration including academic programing, financial and personnel management, and student success. He has served as dean and associate dean of the College of Arts and Humanities that is home to 19 academic programs and departments. As dean of the College of Arts and Humanities at CSU Dominguez Hills, Professor Furusa served as the primary point of contact for all academic and administrative matters falling under the purview of the College. He also provided leadership and representation for the College within the University and the community. Professor Furusa is a first generation college student and the first in his family to earn a master’s and a doctoral degree. This background drives his passion in providing accessible transformative educational experience to underprivileged individuals, including adult, returning and non-traditional students. His career at CSU Dominguez Hills included serving as the Executive Director of the California African American Political and Economic Institute (CAAPEI), chair and professor of Africana Studies, chair of the Academic Senate, chair of the General Education Committee and director of the Institute for Global Intercultural Peacebuilding. He is also a member of the Board of Directors for the National Council for Black Studies and has maintained strong ties with African people and organizations in the diaspora. He works closely with African American and continental African elected officials, African Consul Generals, Ambassadors, Black Churches, non-profit organizations, and Chambers of Commerce to create opportunities for developing Black communities in the US and in Africa. Professor Furusa has established public/private partnerships that are providing incredible internships and job opportunities for students. 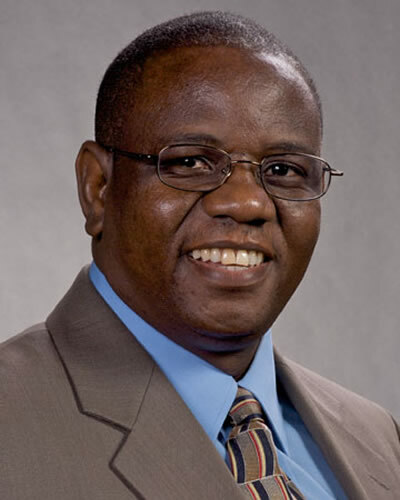 Before joining CSU Dominguez Hills, Professor Furusa held numerous positions ranging in scope from high school principal in Zimbabwe to a national role as Chairman of the Zimbabwe Literature Curriculum Development Committee. Amongst Professor Furusa’s distinguished awards for professional and academic accomplishments are the prestigious California State University Dominguez Hills Lyle Gibson Distinguished Teacher Award and Excellence in Service Award; the Carson Black Chamber of Commerce Education Award; Cheikh Anta Diop Award for Outstanding Research in Africana Studies; Certificate of Appreciation for Outstanding Teaching and Contribution to African People’s Struggles for Cultural Liberation; the Frederick Douglass Award for Outstanding Contribution to African Communities; the William A. Little and Monica Little Award for Outstanding Development of Student Scholarship; and the Outstanding Professor and Mentor Award. Professor Furusa is an esteemed scholar, prolific author who has written dozens of articles and books. His recent publications include Identity Construction and (Mis)Perceptions on Being Black in South Africa (co-authored, 2014), The Borders in All of Us: New Approaches to Global Diasporic Societies (co-authored) (2006), and African Womanhood in Zimbabwean Literature: New Critical Perspectives on Women's Literature in African Languages (co-authored) (2006). Professor Furusa received a Doctor of Philosophy degree in African Literature and Critical Theory, and a M.A., B.A. and BA Honors in English, all from the University of Zimbabwe and a Diploma in Education from Bondolfi Teachers College in Masvingo, Zimbabwe. Professor Furusa is married to Zanele and together they have four children and two grandchildren.